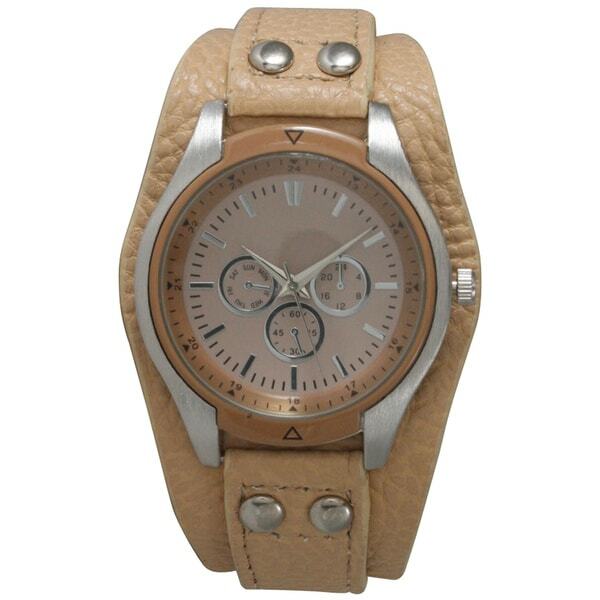 Pair this Olivia Pratt women's watch with casual and work clothes alike due to its neutral coloring. The band is made of genuine leather for durability and is pebbled to give it some fun texture. When I received this watch my first impression was a bit, "huh." I thought the wide leather portion of the watch went all the way around the wrist. It does not. While this is stamped genuine leather - if you look closely it appears there is a bit of leather glued down onto some other material. I don't know if this would be weaker than leather, but it makes for a thick strap. 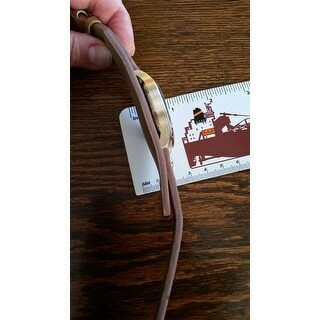 It is a long strap, measures in at 9.5 inches. Did I mention it is also thick? And stiff at the thick section. At it's thickest it is 1/4 inch thick (almost 1 cm). Another thing about the watch is a little bit of cheapness. Not sure how to explain but when you look closely you can see where it was sprayed 'gold.' I've ordered inexpensive watches before and I liked them. Not so much this one. Now, on the other hand. If you want a fun inexpensive watch this may be it. I was going to wear it with a bunch of bohemian bracelets. I pushed in the button (when you pull it out the watch stops) and it seemed to keep time. BUT, keep in mind - with the thick leather back I don't know how you would change the battery - the "leather" does not come away from the back of the watch very much. I ordered the Brown. 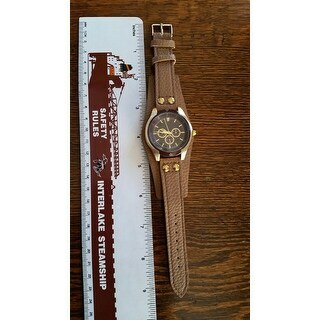 I would not order this watch again. If you have small wrist this is not for you. The material is very hard and it’s too big . Masculine looking. Price is reasonable and quality is fair. Love the casual yet dressy look with the silver... Tired of gold gone!